Recently I’ve learned two ways to get there. Hop on a plane and fly. It’s a short flight from Denver, barely long enough to justify spending time with security checks and baggage claim. Alternatively, it’s a 20-hour drive on I-80. Head west. If you land in the ocean, you’ve gone too far. Before then, turn south. Flying I encountered rolling luggage, hurried travelers, and a packed plane. I read and dozed, clueless about the terrain we flew over. Driving I saw Laramie, Rawlins, and Rock Springs, Wyoming; Park City and Salt Lake City, Utah; Elko, Winnemucca, and Reno, Nevada; and Donner Pass, Truckee, and Sacramento, California. In the car, I read and dozed, observing the mountains, snow, rain, blowing leaves, prong-horn antelopes, sheep, salt flats, and the Mothball Fleet (Suisun Bay Reserve Fleet). Which way to San Jose is better? Depends on the point of the trip. Do I want speed or adventure? Both are good choices. Fortunately, I experienced both. 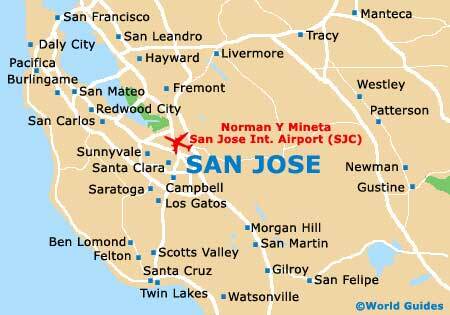 Which way do you prefer to travel to San Jose? Comments Off on Do you know the way to San Jose?